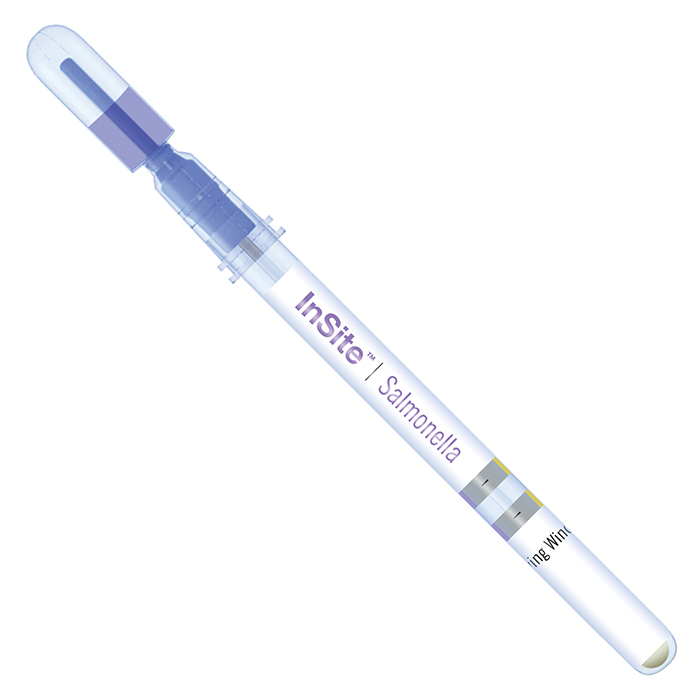 InSite Salmonella is an easy-to-use, self contained, environmental Salmonella test. Each device contains a liquid medium formulated with growth enhancers and chromogenic compounds selective for Salmonella species. 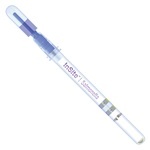 Simply swab the test area and incubate! A change in color after 24-48 hours of incubation is considered presumptive positive for Salmonella species. No expensive lab equipment is required.